Canterbury’s 25th Season L/S Tee combines the best of smart casual style and on field technical design. Made from a lightweight, breathable polyester and cotton mix, this quality tee offers extreme comfort and freedom of movement both on and off the field. Suitable for training with the team or chilling with the family, this contrasting long sleeved tee makes a versatile addition to your wardrobe. 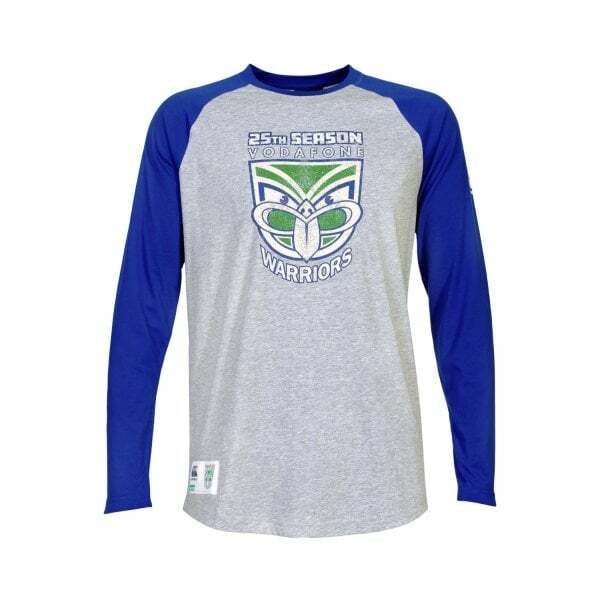 Featuring an awesome washed back graphic front and centre celebrating the Vodafone Warriors’ 25th season in the NRL, it’s also one for the dedicated supporter’s collection. Available now in the 2019 Vodafone Warriors Supporters range at Canterbury.